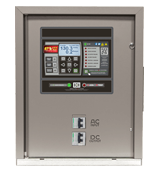 The correct charging system means everything to the performance and service life of your battery system. 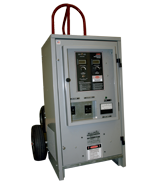 The environment, duty cycle, and battery chemistry all play a crucial part in selecting the correct charging system. 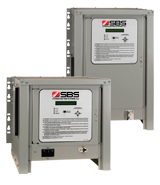 SBS understands which charger designs and features will be optimal for your particular battery string and application. 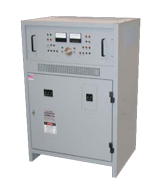 Microprocessor controlled, easy to setup, easy to operate, and easy to maintain single or three phase digital rectifier/chargers. 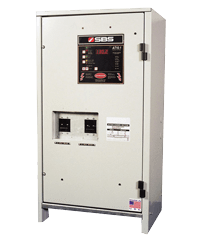 Available in 12, 24, 48 and 130 Vdc (6-1000 amps). 48 and 130Vdc 6-25 mp filtered units are in stock! SCR chargers from 16 - 300 Amps.